I remember September 11 as if it were yesterday. I woke up to a spectacular morning, not a cloud in the deep blue sky. The day was simply perfect. I went through my usual morning routine, got in my car and drove to work thinking about my class and the kind of day it would be. I arrived at school, went to my room to gather my thoughts and prepare for what was ahead. Soon my students began to trickle into homeroom, announcements over and Channel One, our news channel had ended. We had our morning meeting, switched classes and World History began. At 9:20 we escorted our 6th graders to the gym for their P.E class, it was now our planning period. As is our usual custom, my partner and I went to the office to check our mailboxes. Unfortunately, this was not to be an ordinary day, I turned when I heard a loud explosion coming from the TV running in the office and was horrified by what I saw, it was the 2nd plane crashing into the World Trade Center. I felt as if I were in a nightmare, disbelief and terror filling my head. We both stood there speechless, unable to comprehend what our eyes were showing us. I called my husband and told him what had happened, he spent the day glued to the tv. Being a New Yorker for a good many years, he was affected deeply. To this day, he is unable to watch videos of that fateful day. Today’s students didn’t experience this and it’s history to them. Many weren’t born yet and those that were, are too young to remember. It’s up to us to help them understand what happened that day and to never forget. Without further adieu, here’s your 9/11 teachable moment lesson plan. 1. Introduce lesson by having the class speak with their partner about something new and or good that has happened in their lives. Share with the class. 2. Find out if your class knows what anniversary is coming up. Many will know. Have a brief discussion about it. 3. Give each student the blank web diagram and have them free associate any words, ideas, images that come to them and write them in the empty boxes that are provided. Give them about 10-15 minutes or more. 4. Draw a circle on the board with September 11 written inside. Ask the class to share their free associations with you. Write each one on the board with lines leading to the center circle. 5. Clear up any wrong information for them. Ask if they have any questions. Let them know that throughout history, major events have occurred, that have left a lasting impression on those who have lived through them and 9/11 was one of them. Reiterate that the majority of grown-ups will remember it vividly. You may also want to ask the class if they know anyone who was personally effected by this catastrophe. Assignment: The kids will be reporters for t.v, a newspaper or the internet, and their task will be to interview an adult who lived through this event. They will come u p with at least 6-10 questions that require more than a yes or no answer. They may work with a partner, in class, to come up with questions. · How did you find out about the attacks and what were you doing at the time? · How did you feel about the attacks? · What are some of the pictures that have remained in your mind? · How did the rest of that day go for you? As a group activity, choose the best questions, have them record them, and leave blank spaces between each one. Pick a student to interview you while the rest of the class takes notes. If you plan on doing this over a few days, you may want to type the questions yourself and give the kids two copies, one for notes during your interview, and the other to use for their homework assignment. Finally, have your students participate in a ceremony of remembrance by having them share their interviews in class . · Have your class work in pairs to come up with at least one idea that they’ve learned from this activity. · Share with the class and discuss. 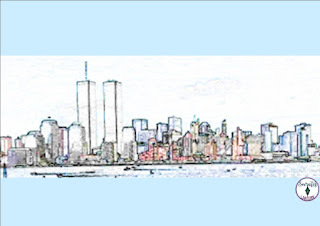 · Encourage the kids to watch a 9/11 ceremony on t.v, or the internet. One more idea for you. 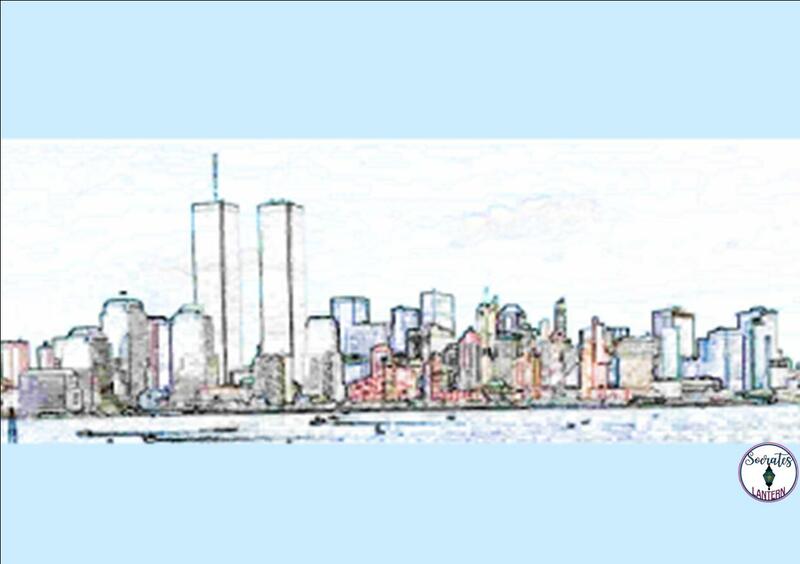 You can have the class turn these interviews into a 9/11 Remembrance Book and add some illustrations that they’ve made. Here’s a link to web charts for you to use. 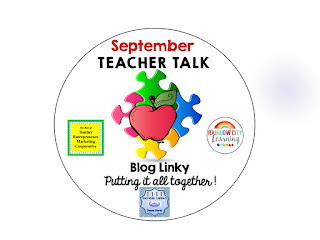 This post is part of our September Teacher Talk Blog Link Up. 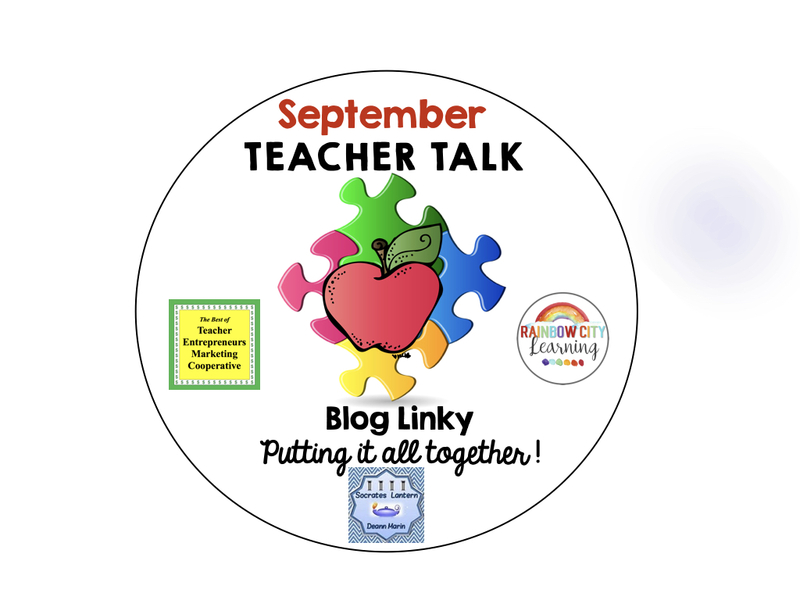 Make sure you see what our other amazing educators have to say.